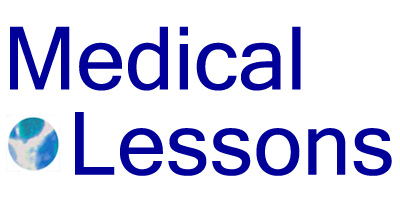 Medical Lessons – Are Doctors Necessary? Ten years ago, my colleagues and I squirmed in our swivel chairs when a few tech-savvy patients filed in bearing reams of articles they’d discovered, downloaded and printed for our perusal. Some of us accepted these informational “gifts” warily, half-curious about what was out there and half-loathing the prospect of more reading. Quite a few complained about the changing informational dynamic between patients and their physicians, threatened by a perceived and perhaps real loss of control. How a decade can make a difference. In 2000 the Pew Charitable Trusts initiated the “Internet & American Life Project” to explore how the Web affects families and communities in matters of daily life. Susannah Fox is an associate director of the Research Center project. “It’s the ultimate information appliance” she says of the Internet. Now that it’s in most people’s homes, people use it as they choose. In 2008 over 140 million Americans, a majority of U.S. adults, looked for health information on-line, according to the Center’s 2009 report. Nearly 60 percent of those admit that a recent Internet search influenced a medical decision. “Back in 2000, our data was used to prove the concept that people were going on-line to get heath care information,” she says. But that’s no longer the issue. “With Facebook, MySpace and Twitter, there’s a new frontier” she states. “I think we’re at a new inflection point, and now is the time to have a very clear conversation on health care. There’s been a significant shift on the physicians’ side, too. “It’s become clear that increased communication and discussion can change care in a positive way” says Dr. Barron Lerner, a primary care physician and medical historian at Columbia University. His most recent book, When Illness Goes Public: Celebrity Patients and How We Look at Medicine, considers how ailments in the public realm can influence peoples’ perception of illness and inform their care choices. “The Internet can be amazingly good to get people up and running” he considers. Lerner encourages his patients who have cancer to visit the National Cancer Institute (NCI) website. Dr. Gretchen Berland is a primary care physician, videographer and former MacArthur Foundation fellow at the Yale University School of Medicine. She led an early study on the quality and accessibility of web-based medical information in that was published in the Journal of the American Medical Association in 2001. But despite the wealth of information, and good quality of many sites, Berland sees limits in the Internet’s use, particularly for patients with complex, serious conditions like cancer. Even if online materials are comprehensive and accurate, they rely on people’s ability to find and understand them. The Internet is not enough to help most people, she states. That’s the paradox of the Internet, she notes. “It’s hard to know what applies to a particular person’s unique and complex medical circumstances.